A year and a half ago, I had the privilege of spending a week of my honeymoon on the beautiful Costiera Amalfitana and I swear my life has never been the same. Italy tends to do that to you and it's so unfair! Every day since then, I've been plotting my return checking flights to NAP on the regular. What makes the Amalfi Coast so special, you ask? 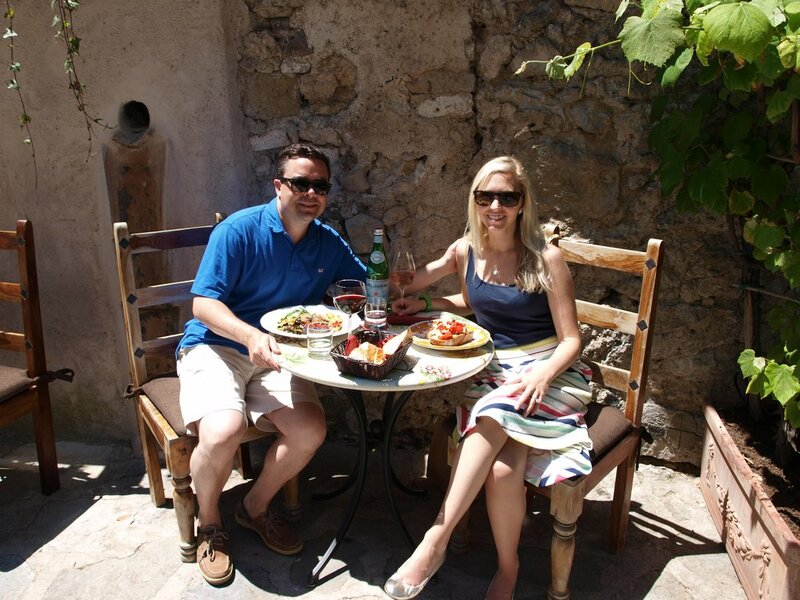 The laid back culture, gorgeous views of the Mediterranean and the food, naturally. It is here that I believe the phrase "Il dolce far niente" was born, translating to "the sweetness of doing nothing." Once you go, you'll understand and wonder why it took you so long to visit. 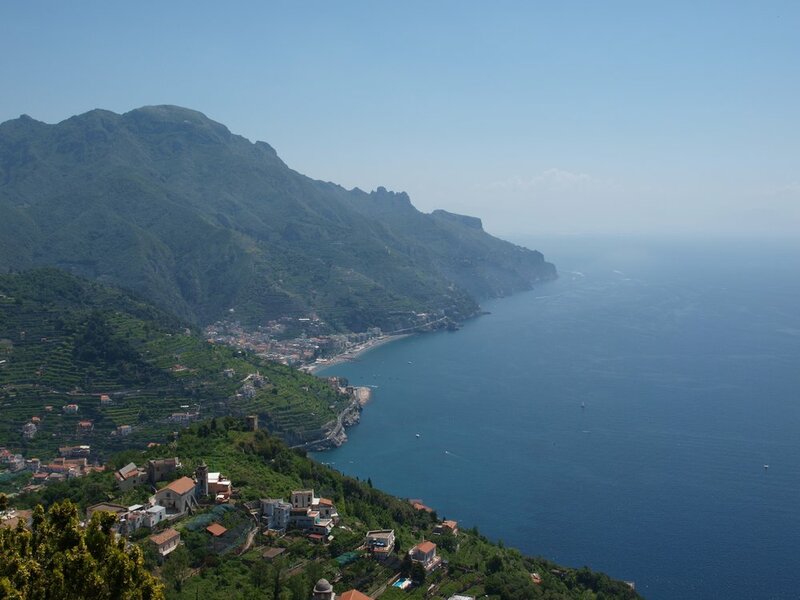 Or like me, you'll wonder what it takes to own a villa on the cliffs...hmm... Just so you know where exactly I'm talking about, the Amalfi Coast is the stretch of coastline along the Gulf of Salerno between Positano to the West and Salerno to the East. When planning a trip to the Amalfi Coast I recommend doing your research because it is a large area that is impossible to cover in just a week, two weeks even, so you need to be strategic on where you want to spend your time. Don't try to do it all because you will miss the little bits of culture that make this place so charming. 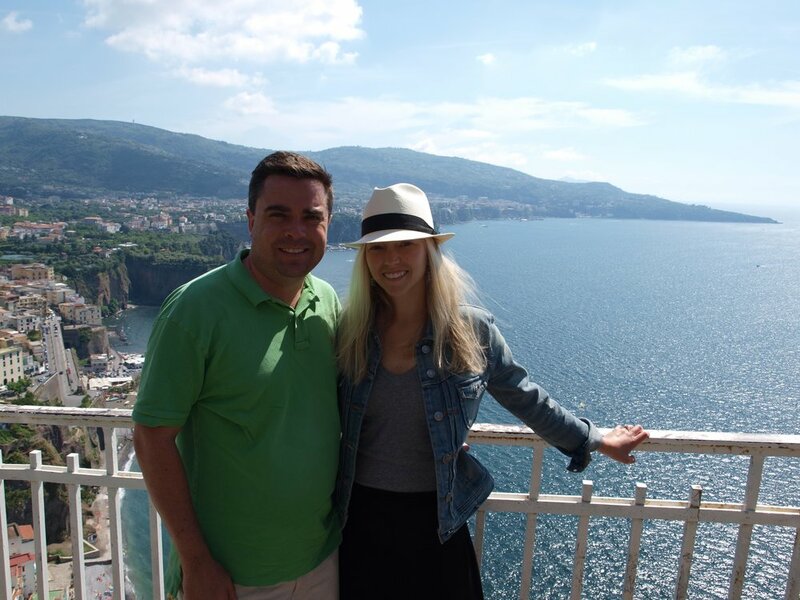 Despite being off the beaten path, the Amalfi Coast is extremely touristy which can deter a lot of people at first. The easiest way to avoid all the crowds is to choose the right month to visit--June and September in particular offer lovely weather without (as many) crowds. Otherwise, be strategic about which town you stay in. I can speak from experience that there are parts of this region that are less touristy than others so the town you decide to stay in can heavily influence your vacation. We knew we wanted some solitude so with a little research we found the town of Praiano which was next door to Positano. It ended up being perfect because it was small and quiet yet we could easily get to all the action in Positano via hotel shuttle and visit the other towns via public bus. We could also get to the island of Capri which we wanted to see. Others who don't mind the busy-ness of these two larger towns prefer to be in the heart of it all. That's fine too. The important thing is that you get to enjoy what this wonderful area has to offer. The Amalfi Coast is reachable by both Naples Capodichino Airport (NAP) and Salerno Costa d'Amalfi Airport (QSR) or alternatively you could arrive to either of these cities via Trenitalia hi-speed train service. From these two cities you will need to take either the public SITA bus or hire a car to reach the coast, making it a little bit tricky to get to. NOTE: The roads along the Amalfi Coast are SO windy and the local drivers are fearless so be prepared (and ginger candies recommended for those who get motion sickness). But the journey is well worth it once you take in the view from atop the cliffs for the very first time. Once you're there, the SITA bus runs pretty regularly between towns if you decide not to rent a car and there is ferry service between some of the larger towns and cities (i.e. Positano to Capri, Naples to Sorrento, Amalfi to Positano and Salerno, etc.). A long journey from Firenze, but we're happy we finally made it! If you are arriving via Naples, I recommend spending an evening in this chaotic city. Why? For the pizza of course! Most importantly, this is where pizza was invented and Da Michele (Via Cesare Sersale, 1, Napoli) offers some of the best authentic pies around. They only offer two varieties--margherita and marinara--but after trying one your life will never be the same. Its location is perfect for exploring the old section of town known as Spaccanapoli, a must-see. Secondly, Napoli is where espresso comes from so I recommend that you have a shot of the thick, tasty stuff to fuel your jetlagged day. Gran Caffè Gambrinus (Via Chiaia, 1/2, Napoli), the city's oldest cafe, offers table service and an outdoor patio to enjoy your doppio and traditional sfogliatella pastry. And lastly for those history buffs out there, Pompeii is just a short drive or train ride on the Circumvesuviana line. Pizza and Peroni at Da Michele...best pizza of my life! I highly recommend staying away from the crowds where we stayed in Praiano at a place high up on the cliffs for the most majestic views, unless you have mobility issues. There will be LOTS and LOTS of stairs to get down to the beach but they're great for counteracting all the eating and drinking that will be happening. NOTE: Don't expect beaches to be large or sandy--they are usually made up of pebbles instead of smooth sand or consist of large rocks from which you can jump off of (don't worry, there are ladders to help you get out). But the cerulean blue of the Mediterranean is so inviting that you must do as the others do and jump in! If you would prefer to be in one of the larger towns and don't mind a splurge or big crowds, check out Le Sirenuse in Positano or Grand Hotel Convento in Amalfi. So now that you've picked out a hotel and figured out how to get there, I will tell you how to best spend your time on the Amalfi Coast and where fill your bellies (and hearts). Stay tuned for my next post which will do just that.